Broadstone Middle School has presented a cheque to Diverse Abilities, Dorset’s disability charity, for £1821.66 towards its Lilypad Appeal to refurbish its children’s respite home. The children decided to support the charity’s appeal following a visit to the charity’s special school Langside, which supports children with profound and multiple learning disabilities and complex medical needs. The pupils and teachers spent the morning with the children the charity supports and were informed about how they learn through a sensory curriculum and were also shown how to communicate with them. They also visited the Diverse Abilities respite home to see where the funds raised would be spent. The children at Broadstone Middle School were very touched by what they saw during their visit and arranged a series of events throughout the rest of the school year to raise money including ice lolly and cake sales, a teddy stall and a do something silly for lily fun day, which was attended by some of the adults supported by Diverse Abilities along with the charity’s mascot Lily the frog. 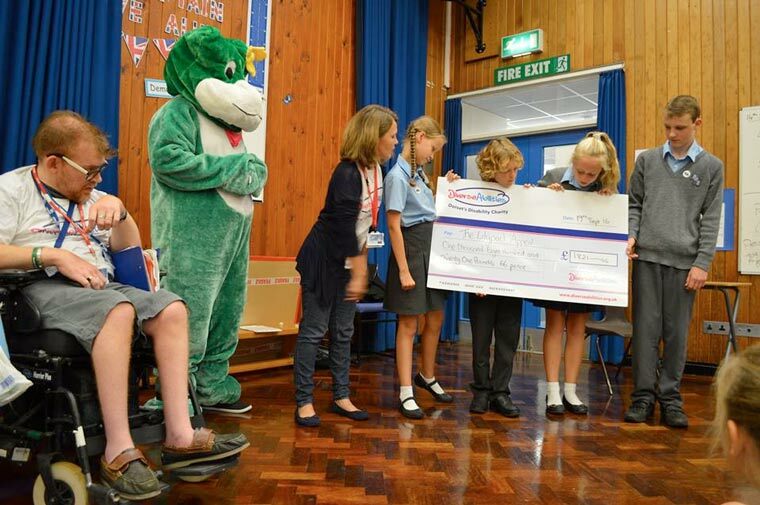 Simon Shave, who has been supported by Diverse Abilities for 38 years attended the cheque presentation assembly to thank the children personally and tell them about how the charity had supported him. Diverse Abilities continues to encourage the local community to get involved in its ‘Do Something Silly for Lily’ campaign to help raise funds for its Lilypad Appeal – a project which is refurbishing its children’s respite home in Poole to support more children and families in the county. Do Something Silly for Lily is all about doing a silly activity with friends, family or colleagues and getting others to make a donation to contribute to the last £26,600 required as part of the charity’s appeal.